You know Bob’s sponge, well, or sponge-bob? So I hasten to make you happy, now you can meet this hero in MCPE! 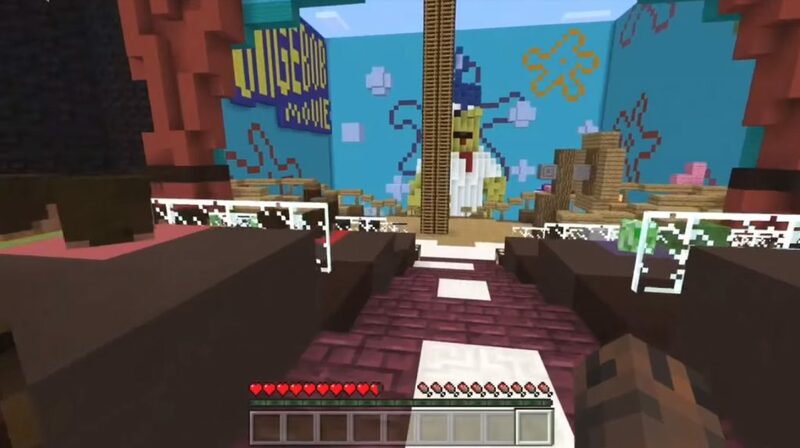 SpongeBob The Movie was created more than two years ago for the Minecraft Xbox Edition. This is a great mini-game that takes place inside the cartoon sponge-bob. 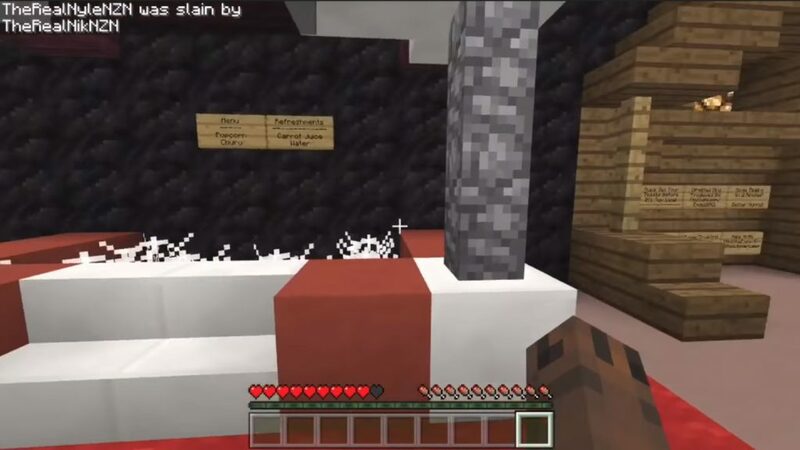 Everything will start in the cinema, from there you can get into the underwater world of Minecraft PE, in which you are waiting for some symbols of sponge-bean. This type of mini-games is best suited for multi-user mode of the MCPE. On this map for Minecraft PE, you can either just walk around, or explore the world on your own, for example, use it for a mini-hide-and-seek game. But for this you will obviously need a few more Minecraft Pocket Edition players. Step on the pressure plate to get armor.